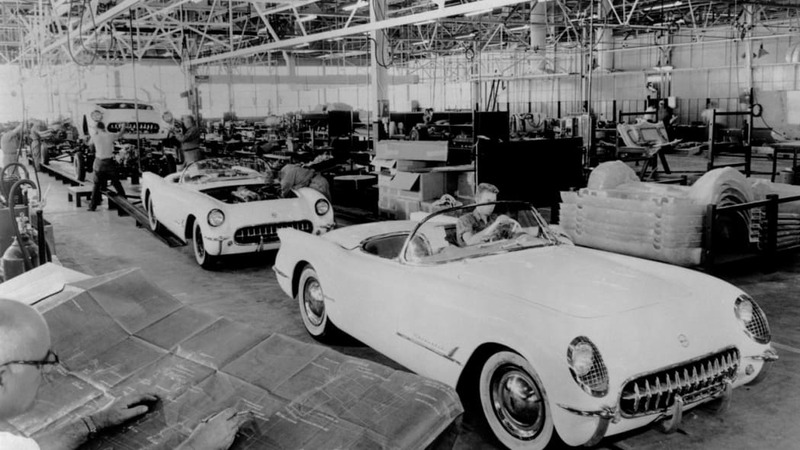 On June 30, Chevrolet celebrated 60 years of Corvette production after the very first of its iconic sports car model rolled off the Flint, Michigan, assembly line in 1953. The future classic was initially shown as a concept vehicle at the General Motors Autorama in New York City on January 17, 1953, but it was such a hit with the crowds in attendance that the automaker decided to go ahead with a limited run of 300 vehicles. Each of the 1953 models shared the same color scheme – Polo White over red convertible – and were priced at $3,498 each (in 2006, the third 1953 Corvette produced sold for a record $1,060,000 at auction). "Over the past six decades, the Corvette has been woven into the fabric of American culture, as the sports car of choice for movie stars, musicians, and astronauts," said Chris Perry, vice president of Chevrolet Marketing. "The very best Corvettes represent the state-of-the-art for their eras in terms of design, technology and performance." Few realize that the Chevrolet Corvette is the world's longest-running, continuously produced passenger car (the Porsche 911 didn't start production until 1963). And, with the all-new C7 in showrooms later this year, America's sports car doesn't show any signs of wanting to give up the coveted title. Be sure to check out the press release below for more interesting Corvette facts. BOWLING GREEN, Ky. – Chevrolet today marked its 60th anniversary of the Corvette, an iconic American sports car. 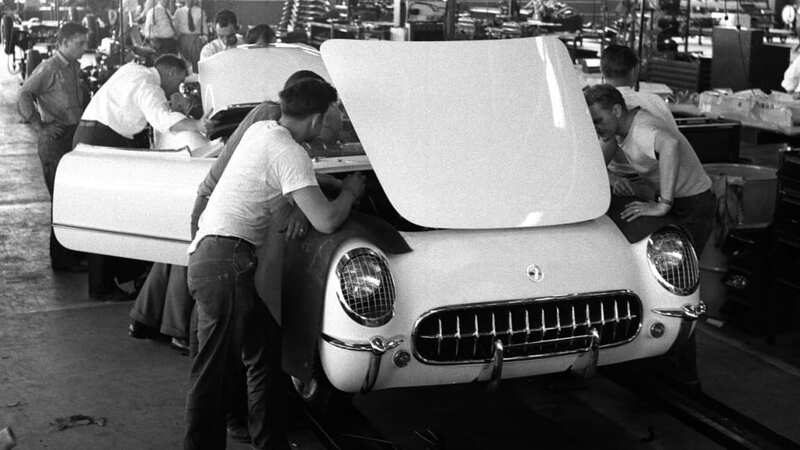 The first Corvette went into production in Flint, Mich. on June 30, 1953. Since then, Corvette has become an American icon that continues to offer the best in today's technology and performance. 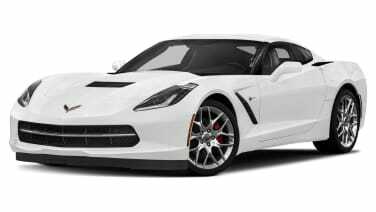 "Over the past six decades, the Corvette has been woven into the fabric of American culture, as the sports car of choice for movie stars, musicians, and astronauts," said Chris Perry, vice president Chevrolet Marketing. "The very best Corvettes represent the state-of-the-art for their eras in terms of design, technology and performance." • Corvette is the world's longest-running, continuously produced passenger car. The longest-running vehicle of any type is the Chevrolet Suburban. • Corvette made its debut as a concept vehicle at the General Motors Autorama in New York City on January 17, 1953. 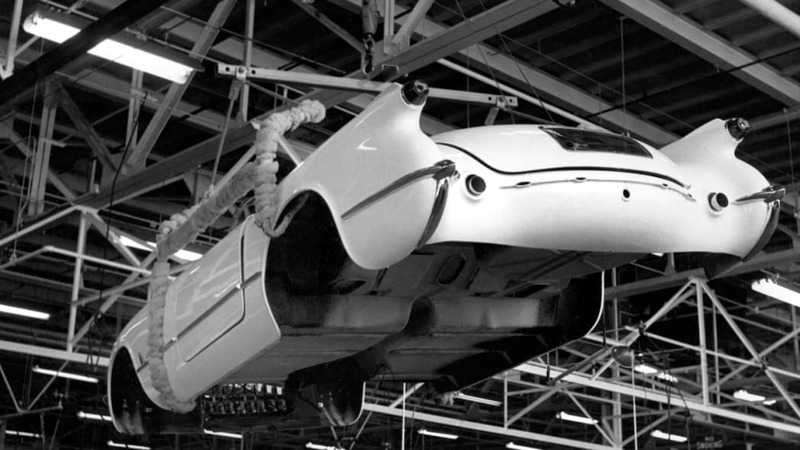 It was such a success that a limited run of 300 production Corvettes began on June 30 of that year. • All 1953 models were Polo White with a red interior and they were priced at $3,498. In 2006, the third 1953 Corvette produced sold for a record $1,060,000 at auction. • Corvette was exclusively available with an inline six-cylinder engine until 1955. That year, the optional V-8 engine was ordered by 90 percent of buyers. The six-cylinder was dropped in 1956. Corvette has been available exclusively with V-8 power since. • Corvette was produced only as a convertible for its first 10 years. The fixed-roof 1963 "split-window" Corvette Sting Ray coupe launched the second-generation Corvette. Sales doubled and it became a year-round car for drivers in colder climates. • Approximately 1,560,000 Corvettes have been produced since June 30, 1953. The 500,000th Corvette was built in 1977; the 1 millionth was built in 1992, and the 1.5 millionth Corvette rolled off the line in 2009. • Corvettes have been produced at three facilities: Flint, Mich. (1953); St. Louis, Mo., (1954-1981); and Bowling Green, Ky. (1981-2014). The change from St. Louis to Bowling Green happened during the production year. The first 1981 Corvette was built in St. Louis, and the last 1981 Corvette was built in Bowling Green. • No 1983 Corvettes were sold to the public. The model year was skipped in preparation of the all-new 1984 Corvette, which launched the C4 generation. Forty-four Corvette prototypes were built as 1983 models. Only one remains, on display at the National Corvette Museum, in Bowling Green, Ky.